Sea Scout Academy in Mobile, AL. was a great event where Sea Scouts worked on rank advancement, leadership skills and more importantly fellowship with each other from all over the Southern Region. Ship One out of Mobile, AL hosted the 5th annual Academy, a long-standing tradition for that ship. This year five ships attended with 23 youth and 22 adults. On the first day, youth participated in a round robin; learning knots, proper marine radio usage, and life saving techniques. That afternoon scouts attended interactive lectures where they learned about the hazards of the spread of non-indigenous marine life, the types the different types of fires along with how to use a fire extinguisher accordingly, and how to use flares properly. 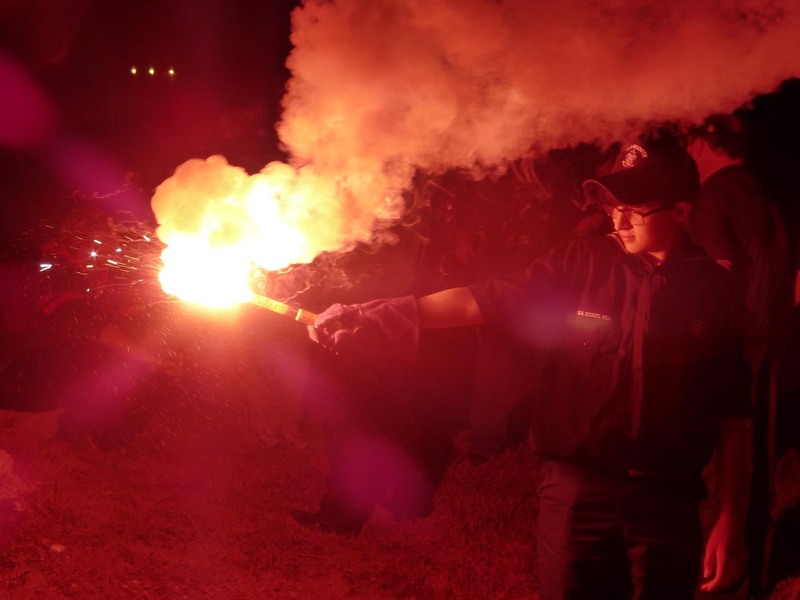 The Mobile Yacht Club was gracious enough to let scouts practice shooting both aerial and hand held flares that night. 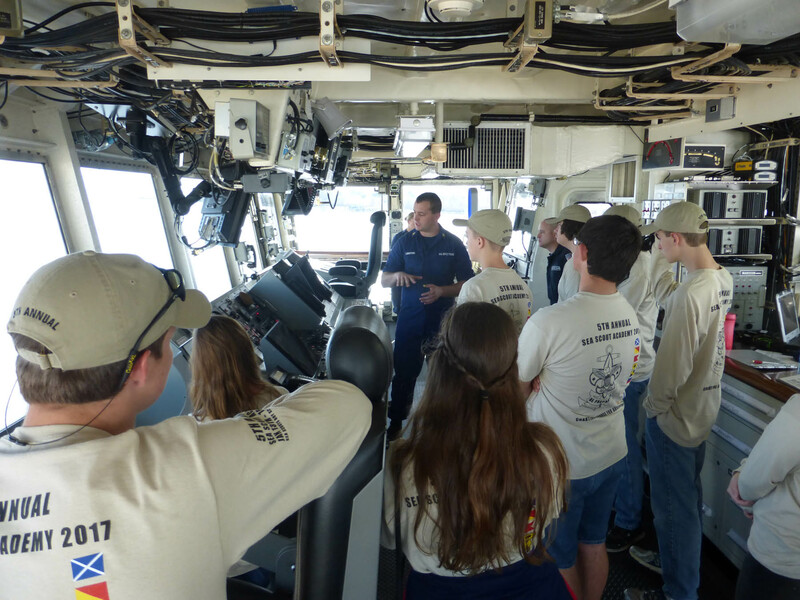 On Sunday everyone went to the Coast Guard base to learn about navigation skills and tour one of their navigation aid ships. On Monday, we continued to practice our navigation and plotting skills.